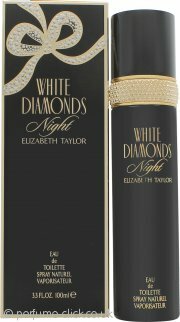 White Diamonds Night by Elizabeth Taylor is a floral woody fragrance for women. It contains notes of sandalwood, apircot, patchouli, freesia, resins, night blooming jasmine, musk, mandarin orange and bergamot. White Diamonds Night was launched in 2016.